Location. 29° 5.698′ N, 98° 10.009′ W. Marker is near Floresville, Texas, in Wilson County. Marker can be reached from County Road 144. Touch for map. Marker is located in the Rancho de Las Cabras unit of the San Antonio Missions National Historical Park. The unit is only open to visitors on certain days of the year and is accessed via a private road off of County Road 144. Marker is in this post office area: Floresville TX 78114, United States of America. Touch for directions. Other nearby markers. At least 8 other markers are within 3 miles of this marker, measured as the crow flies. Vicinity of Site: "Mision de las Cabras"
(approx. 1.1 miles away); James Charles Wilson (approx. 2.7 miles away); Wilson County (approx. 2.7 miles away); The Flores de Abrego Family and Floresville (approx. 2.7 miles away); Wilson County Courthouse (approx. 2.7 miles away); Captain Will Wright (approx. 2.7 miles away); Wilson County Jail (approx. 2.7 miles away); White House Café and Saloon (approx. 2.8 miles away). 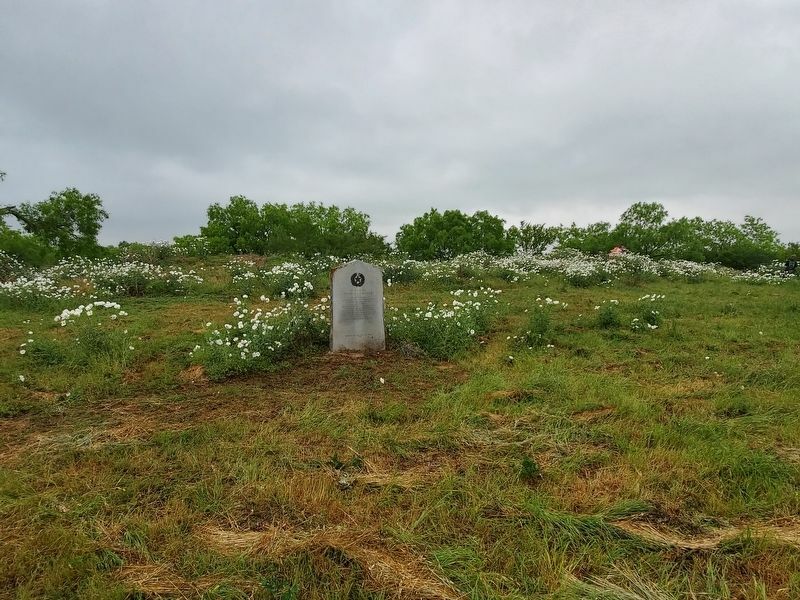 Touch for a list and map of all markers in Floresville. More. 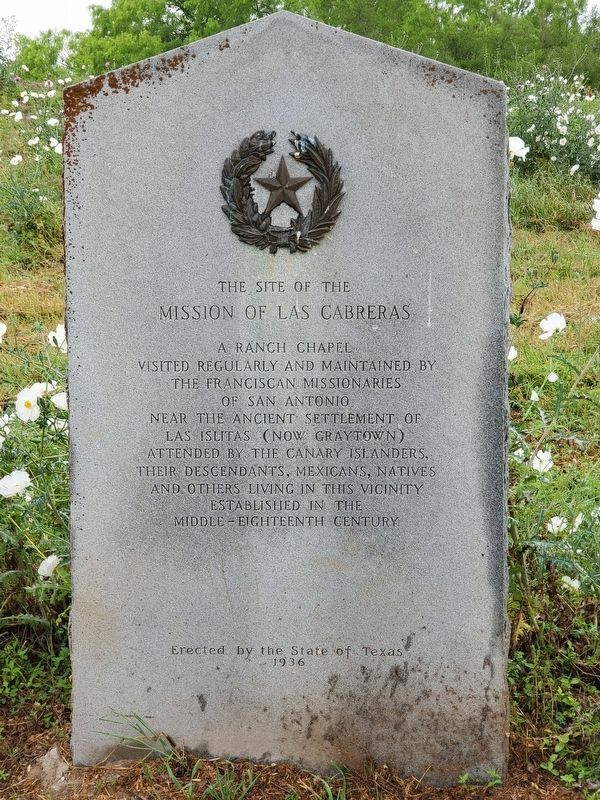 Search the internet for The Site of the Mission of Las Cabreras.